We’re inspired by distinctive traditions. Taking something that’s a gorgeous classic and turning it into a modern piece is one of our favorite things to do. We know it’s important not to mess with history, so we leave the key elements intact and give you the option to add just a little bit (or a lot!) of that Jewlr touch. The Claddagh ring is a traditional Irish ring (with a namesake derived from the fishing village of the same name), given to represent love, loyalty and friendship. Originally produced in the 17th century, this symbol has withstood the test of time and tradition through the ages – and is still considered popular when choosing a commitment ring. Whether you design your personalised Claddagh ring in gold or silver – or add a special touch with one or a few gemstones. A great option for two best friends to invest in (perhaps with each others birthstones?) that represents loyalty to the fullest. Giving a Claddagh as a token of love and commitment is intensely sentimental – with different meanings attached to how she wears it, (heart pointed towards the wrist means the wearer is in a relationship – their heart has been ‘captured’!) and creating a customised Claddagh with her birthstones or a meaningful engraving makes it even more extraordinary. The Celtic symbols and meanings are a collection of interpretations and beliefs gathered from various Indo-European peoples. Celtic symbols and signs hold tremendous meaning and for this reason are a very popular choice for weddings and engagements. 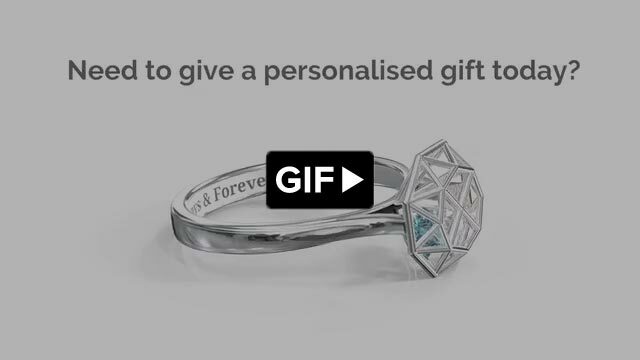 Express your message in a completely unique way – with jewellery that is personalised by you. Choose from our large selection of Celtic (Keltic) jewellery – including Claddagh Rings for men and women or the Eternity Knot which is designed into many of our Celtic rings. We also have pendants presenting the Celtic Cross. Select the metal you prefer and personalise with gemstones or engravings that punctuate your message.